Breaking news! Disney has just released the first-look images of two new characters – Ken and Peas-in-a-Pod -- in the upcoming “Toy Story 3.” See them for the first time here! KEN. Grab your binoculars and join Ken on a safari! A swinging bachelor who's always on the lookout for fun, Ken sports the perfect outfit for his eco-adventure: light blue shorts and a leopard-print shirt with short sleeves sure to keep him cool in the hot sun. And after his exciting expedition, Ken will be ready to hit the dance floor in style. His accessories include matching scarf, sensible loafers, and a fashion-forward gold belt. Dozens of additional Ken outfits sold separately. PEAS-IN-A-POD will quickly become a parent’s favorite on-the-go toy. The soft, plush pod secures the happy peas inside with a durable metal zipper, making it perfect for the car or stroller. The Peas-in-a-Pod plush toy also develops fine motor skills by catering to a child’s natural grab instinct. Pulling the three peas out of the pod will provide repeated enjoyment for infants and toddlers, and soon they’ll learn to put them back in! Machine washable. Not for human consumption. 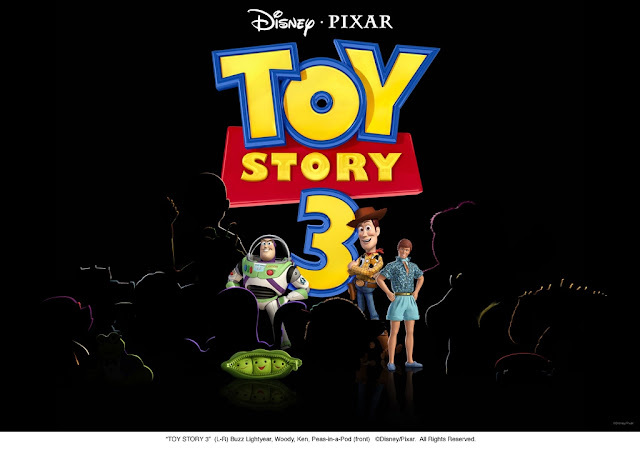 The creators of the beloved “Toy Story” films re-open the toy box and bring moviegoers back to the delightful world of our favorite gang of toy characters in TOY STORY 3. As Andy prepares to depart for college, Buzz, Woody and the rest of his loyal toys are troubled about their uncertain future.